The Territory Days event takes place in Old Colorado City Colorado in May. 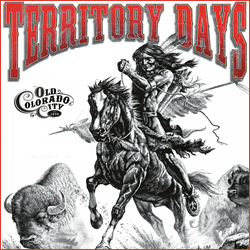 Make your way to Colorado Springs this year for the annual Old Colorado City Territory Days celebration. Featuring over 200 artisan booths, numerous shopping opportunities, great food and beverages, craft and commercial vendors, family and kids rides and activities, and so much more – this lively western festival draws nearly 150,000 visitors in a busy weekend. The Colorado springtime weather can’t be beat – get your family and friends together this year for the great music, food, and fun at Territory Days! Looking for Lodging? Discover great Lodging Deals for Colorado and more. The Colorado Springs Pet Expo takes place at the Colorado Springs Event Center at Rustic Hills in Colorado Springs Colorado in April. Stop by the Pet Expo in Colorado Springs this season and have a great time discovering great pet friendly products and services, see demonstrations and information by pet pros, get discounted pet vaccines, and of course, meet many adoptable animals that need a home. Pet lovers, do not miss this event – and remember – the great agility course by K9 Kingdom is a favorite to check out. 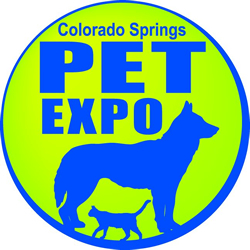 Have fun attending the Pet Expo in Colorado Springs, and find some great local food and Lodging in Colorado Springs and don’t miss this years Colorado Springs Pet Event! 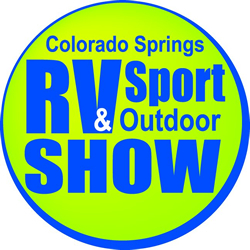 The Colorado Springs RV and Outdoor Show takes places at the Colorado Springs Events Center at Rustic Hills in Colorado Springs Colorado in February. Browse and shop a full display of some of the finest RVs including coaches, campers, trailers, and more – and for all budgets . . . this is a great show to attend to find your first or next recreational vehicle! Outdoor demonstrations, organizations, and service providers will be on hand to answer questions and to show great new products, rv models, and features. Get your low priced tickets today! Find Lodging Deals in Colorado Springs and don’t miss this fun at this years Colorado Springs RV & Outdoors Show! The Colorado Springs Christmas Expo event takes place at the Colorado Springs Event Center in Colorado Springs Colorado in November. 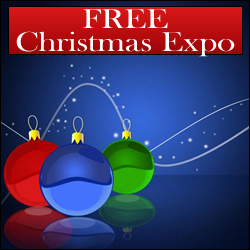 Join Q102.7 for this FREE Christmas Expo Friday & Saturday. Food, fun, shopping ideas & family-Safe Entertainment for the Christmas Season. You may even win a car! We’ll have live music, handbell ringers, bouncy houses and fun for the kids + Santa on Saturday from 10AM-12PM! The Annual Holiday Festival takes place at the Freedom Financial Services Expo Center in Colorado Springs, Colorado in November. The Holiday season has arrived and you and your friends and family will have a great time celebrating at the Holiday Festival. 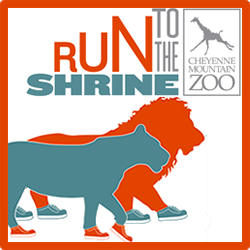 With over 300 booths and exhibitors, this is one of the largest holiday event celebrations in the Rocky Mountain Region. Holiday shopping won’t be the same after you’ve attended the Festival – you can find great gifts and gift ideas including toys, hand made and fine crafted items, fine jewelry, Christmas and Holiday decor, and of course, everyone’s favorite, the wonderful array of foods and gourmet edible treats available. 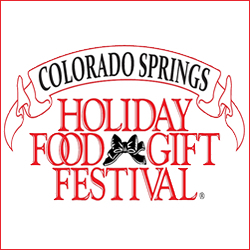 Find great Hotel Deals for Colorado Springs and don’t miss this years Colorado Springs Holiday Festival Event! 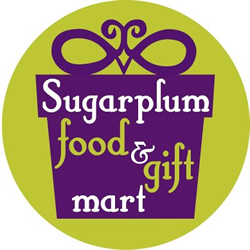 The Sugarplum Food & Gift Mart takes place at the Colorado Springs Event Center in Colorado Springs Colorado in October. This fun Holiday shopping opportunity features wonderful goods and home decor, great gourmet food and food gifts, unique gifts for the difficult to shop for person, crafts and handmade offerings, and so much more! Hundreds of exhibitors will make this Colorado Springs Holiday Shopping Event a dream for all of your gift-buying needs this season. Vendors, reserve your booth space at this event soon and be sure to participate in the Sugarplum Food and Gift Show this year in the Springs! 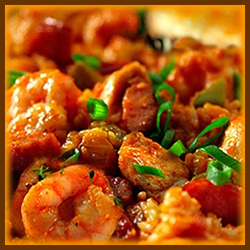 The Taste of Old Colorado City takes place in Old Colorado City Colorado in September. Celebrate great food and wine at this West side Colorado Springs annual gathering. 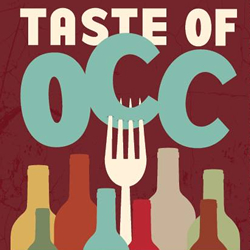 Bring your friends and family to this culinary taste organized by the Old Colorado City Foundation (501c3). Find additional information on tickets, participating vendors, beer and wine info, and more on the event website. Need Event Lodging in Colorado? Discover great Lodging Deals for Colorado and more. The Labor Day Lift Off takes place in beautiful Colorado Springs Colorado in September. This is a wonderful event to attend with families, friends, and more in the Colorado late summer season – everyone loves Hot Air Balloons! Take in other great entertainment including live music, sky diving featured, wakeboarding exhibitions, a beach bash, hot air balloon rides, great food and vendors, and more! 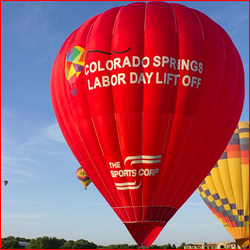 Have a great time this year attending the Colorado Springs Labor Day Lift Off! Discover great Colorado Discount Lodging!